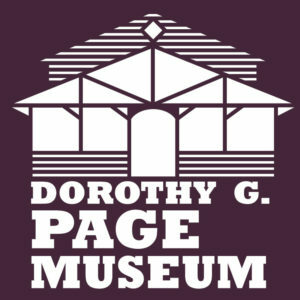 These logo designs were commissioned as part of a future rebrand of the Dorothy G. Page Museum in Wasilla, Alaska. 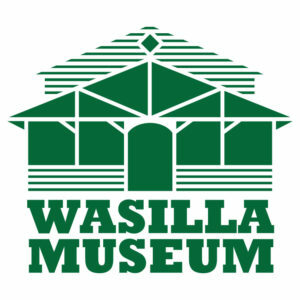 Located in the original Wasilla townsite in a log cabin, the museum houses a variety of artifacts from this colorful town. 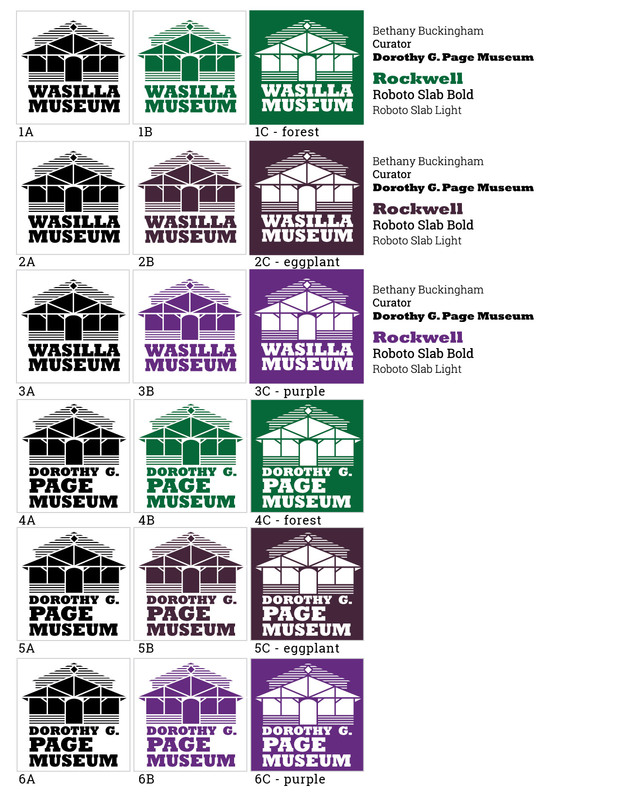 Eggplant, purple and green, the Museum’s brand colors, combine with an abstracted geometric stylization of the cabin for an approachable look and feel with history. 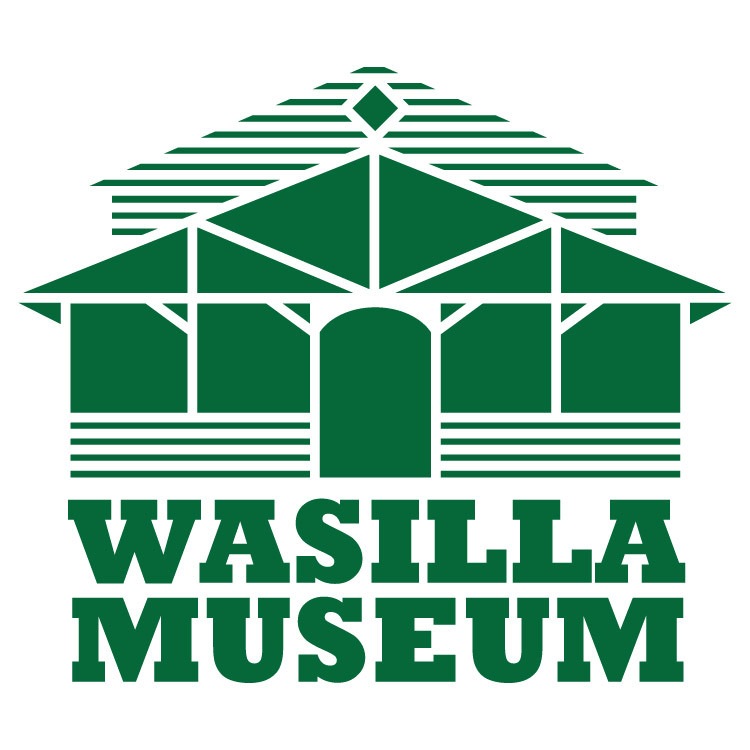 Visit the museum to find out more: visiting hours and contact information are here at the City of Wasilla’s site.